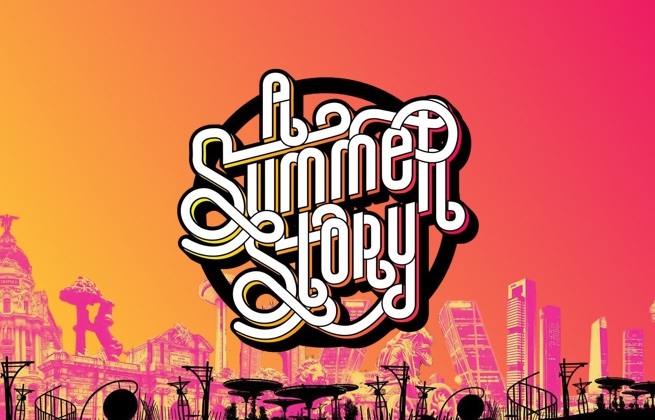 General access to the A Summer Story 2019 from Friday 21st to Saturday 22th June 2019. Purchase your Friday Ticket to access the festival on Friday 21st of June 2019. Purchase your Saturday Ticket to access the festival on Saturday, 22nd of June. Purchase the VIP upgrade to enjoy on June 21st and 22nd of open bar, fast-track entrance, access to VIP area and exclusive WC. To upgrade to this ticket you need to buy the general admission ticket too. 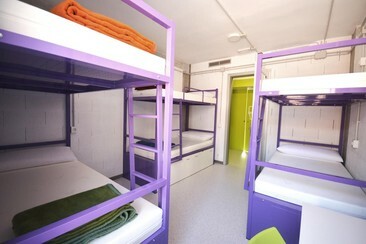 Scout Madrid Hostel is located in the neighborhood of Moratalaz, just a 4-minute walk from a metro station. Madrid City Centre in 20 minutes by bus or metro. Retiro Park is 2 km away. The nearest airport is Adolfo Suarez Madrid-Barajas Airport, 11 km from Scout Madrid Hostel. The hostel has a communal terrace, shared TV room and a conference centre for up to 140 guests. Rooms come with a shared bathroom, air conditioning, lockers, and a light and wall-plug for every bed. Other amenities include a communal kitchen and a dining room and guest laundry facilities. 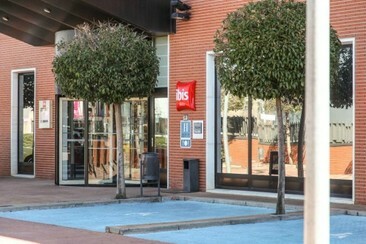 Ibis Madrid Arganda is located in the business area of Arganda del Rey, 12.4 miles outside Madrid, a 20-minute drive from the city centre. Free private parking is possible on site. An on-site restaurant and bar, the Taberna Lizarran, is open for lunch and dinner every day of the week. A healthy breakfast is included with each room. Free wifi access is available throughout the property. Apartamentos Goya 75 is located in the majestic Salamanca district in the centre of Madrid, on Calle General Pardiñas number 13, in the middle of an area full of shops, restaurants, cultural spots and first-class leisure activities. Such a privileged position features excellent transport links in the vicinity with the metro nearby, ensuring that the sights are easily accessible as well as the main business centres, airport. Featuring parquet floors and wooden furnishings, the casual apartments offer TVs, Wi-Fi (fee), kitchenettes and dining areas. Upgraded apartments include sitting rooms with sofas. 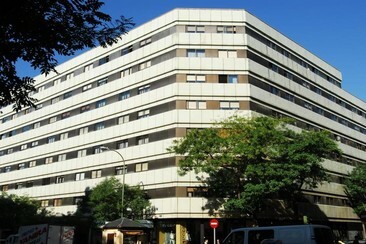 The Hostal La Plata is located in the center of Madrid, in the 4th floor of number 15th, a modernist building built between 1918 and 1921 for the Marqués de Villamayor de Santiago by the architect Juan García Cascales. This is a perfect location for those looking for a charming and historical lodge in the city centre. All our services at the hostel are detail care, flawless service and close and quality manners branded. We constantly work to keep an optimal quality level to ensure the highest customer satisfaction. You can enjoy the magnificent views of the surroundings from the terrace. Hostal la Plata is one of the best hostels downtowns in Madrid due to its location and quality. 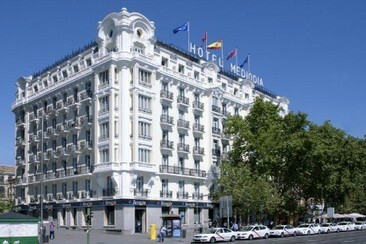 Situated 100 yards from Madrid’s Atocha Station and the Reina Sofia Museum, the Mediodia Hotel has an elegant façade dating back to 1914 with original stained glass windows and a grand staircase. 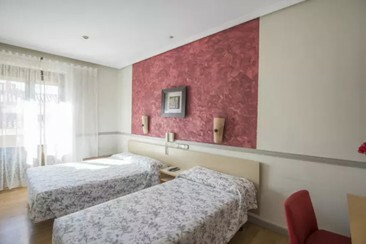 The property has 168 functional guest rooms with air-conditioning, free WI-Fi access and some rooms with views of Atocha and the Reina Sofia Museum. Guests can enjoy a continental breakfast in the dining room each morning and a nearby car park is available. El Retiro Park is just a 5-minute walk away. Nearby Atocha Station offers Metro and local train services, as well as high-speed AVE trains. A Summer Story is a huge dance music festival held on the outskirts of Spain's capital city, Madrid. Despite being a fairly new festival, having only launched back in 2015, every year has seen absolutely huge lineups packed with stars from across the electronic music spectrum. With big-room and EDM giants on one stage, favourites of the house and techno underground populating another, and representatives of harder styles also making their way onto the billing across the course of two days, the festival seeks to offer something to a diverse crowd of ravers. A 200,000 square metre open space in Arganda del Rey, south east of Madrid city centre, Ciudad del Rock is hosts music festivals and shows throughout the year.